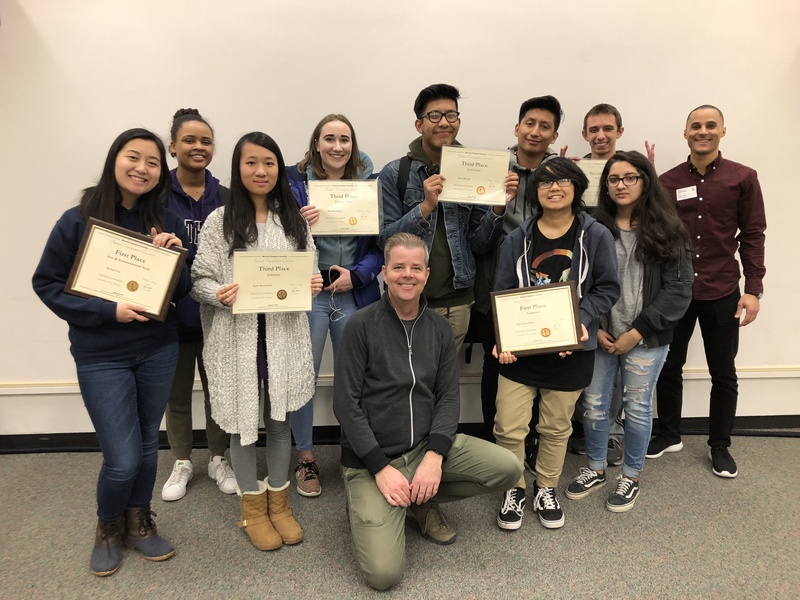 For a fourth straight year, ThreeSixty Journalism students have taken home seven Minnesota Newspaper Association awards. 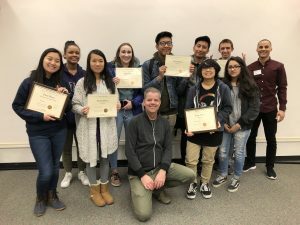 ThreeSixty students earned two first-place finishes, two second-place finishes and three third-place finishes in the College Better Newspaper Contest, an annual college-level competition. The awards banquet was held Jan. 25 in Bloomington. Katelyn Vue, a senior at North St. Paul High School, won first place in the Arts & Entertainment category for her story on local high school students who painted the wall of a Minneapolis domestic violence shelter as a symbol of hope and healing. Skyler Kuczaboski, a freshman at Dartmouth College, also won first place in the Columnist category for her personal recounting of learning about white privilege. Zekriah Chaudhry, a senior at Minneapolis South High School, took home a second-place honorin the Business category for his story on media companies embracing virtual reality as a storytelling tool. Mina Yuan, a freshman at Stanford University, also won second place in Human Interest for her “Changemakers” profile on Coralie Maldonado, a Minnesota high school student activist. Zahra Mustafa, a junior at Burnsville High School, earned third place in the Columnist category for her college essay on rewriting the narrative about refugees. Kuczaboski also earned a third-place honor in the Editorial category for her op-ed on kneeling for the national anthem. Elezebet Mitiku, a junior at St. Paul Harding, took home a third-place honor in the Feature Photo category for a photo she took for her story on Ethiopian runner Feyisa Lilesa’s protest at the 2016 Summer Olympics.